We all want our kids to be polite, but in the case of a child with autism, we need to be mindful of not focusing on words like “please” and “thank you” before he or she can tell us what they want and need. The problem with teaching manners too early to a child with autism is that instead of using the item name (cookie) and asking for “cookie,” the child might reach for cookie and say “please” instead. A parent or teacher might then give the child a cookie because he used nice manners but the child may not know the name of the item or be able to say it. The other issue is that when the cookie is out of sight, the child might not have the ability to ask for it. A third issue is when adults try to have the child put “please” on the end of all requests by prompting “cookie please.” This can be a problem for a child who is just learning to speak and may make their language harder to understand. Here’s what I recommend Instead: It’s much more meaningful and important for a child to be able to request an item, for example “cookie,” than for us to try to make them say “please,” which is really abstract and usually a meaningless word to young, early learners with autism. Once your child can request items, in this case “cookie,” it would be more useful to work on them being specific with their request. For example, “chocolate chip cookie” or “sugar cookie” are more meaningful and specific than “cookie, please” where “please” isn’t actually adding more information. You are invited to attend the 3rd Annual Autism Spectrum Disorders Conference scheduled for October 26-28, 2016 at the Grand Hotel in Minot, ND. The Anne Carlsen Center will be hosting the conference, supported by the ND Department of Human Services. This is an event intended to educate parents, therapists, teachers, medical professionals, and first responders about autism. Whether you are new to autism or steeped in its many complexities, this conference has something for everyone. Oscar, 6, sits at the family dinner table and endures the loneliest hour of his day. The room bustles with activity: Oscar’s sister passes plates and doles out broccoli florets. His father and uncle exchange playful banter. Oscar’s mother emerges from the kitchen carrying a platter of carved meat; a cousin pulls up an empty chair. “Chi fan le!” shouts Oscar’s older sister, in Mandarin Chinese. Time for dinner! “Hao,” her grandfather responds from the other room. Okay. Family members tell stories and rehash the day, all in animated Chinese. But when they turn to Oscar, who has autism, they speak in English. Except there is no rice on the table. In Chinese, ‘eat rice’ can refer to any meal, but its meaning is lost in translation. Men with autism who have above-average intelligence may not achieve typical personal or financial milestones — but many are content, according to a new study1. Younger siblings of those with autism are over a dozen times more likely than other kids to have the developmental disorder too, a new study suggests. The risk did not appear to be affected by a child’s race or whether they were born early, at term or late. However, gender did seem to make a difference, according to findings published online this month in the Journal of Developmental & Behavioral Pediatrics. Among kids with an older sibling on the spectrum, 11.3 percent were ultimately diagnosed with autism as well. By comparison, just 0.92 percent of other children were found to have the developmental disorder. The risk was higher for boys with older brothers with autism — 15 percent — compared to girls with affected older sisters who were diagnosed 7 percent of the time, the study found. 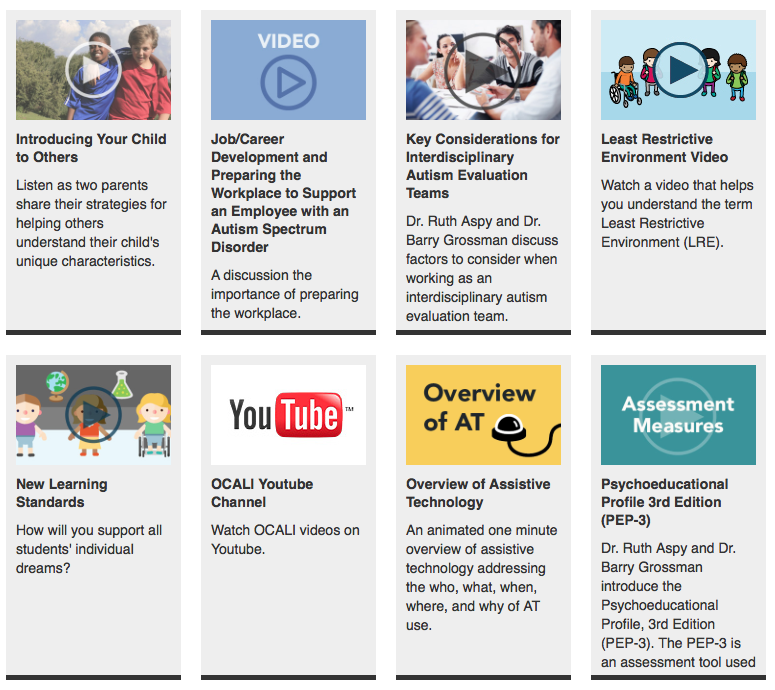 The purpose of this kit is to provide helpful information about students with autism and tools and strategies to achieve positive interactions and increase learning for all members of the school community. 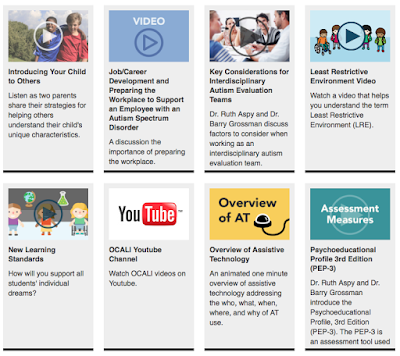 With help from respected experts in the field of autism and special education, and experienced parents, caregivers and teachers, we’ve included an introduction to autism and specific strategies for supporting students. The School Community Tool Kit is broken down into sections. Click here to download the full version of the kit, or click the links below to download the individual sections. Information about autism, Asperger Syndrome, social symptoms, physical and medical issues, additional challanges and unique abilities that may accompany autism. 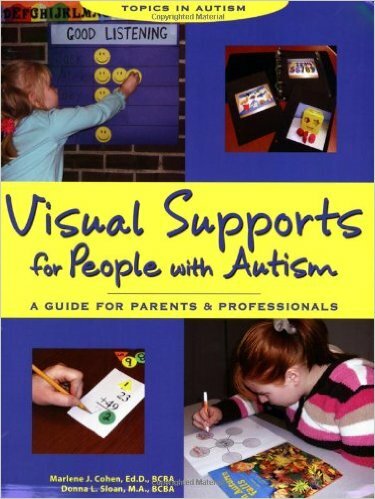 Click here to view the "Autism Basics" brochure from the tool kit. Click here to view the "Asperger's Syndrome Basics" brochure from the tool kit. Autism and Asperger Syndrome Basics brochures, and information for classmates, teachers, school administrators, paraprofessionals, bus drivers/transportation supervisors, custodial staff, lunch and recess aides, office staff, peers, nurses and security officers. Information about about the rights of students with autism, instructional methods in teaching students, assistive technologies, therapies used, and ideas for a team approach. Information about supporting communication, organizational and sensory needs, improving social interaction and development, ideas for preventing behavior, and more. Children use their sense of time to guess when the school bell will ring, when to pause while chatting with a friend, and how long it typically takes Dad to buy groceries. A good sense of time makes life less unpredictable, and may also smooth out some social interactions. Most children get better at estimating time as they grow. They learn by averaging their experiences — for instance, previous trips to a supermarket or conversational pauses. Some children have an innate sense of time and rely less on this imprecise averaging tactic. Children with autism are known to have trouble estimating time. A new study suggests a reason for the problem: their relative inability to rely on past experiences as a guide. The findings, published 28 June in Scientific Reports, could help to explain why some people with autism have anxiety and social difficulties1. “The face is the index of the mind,” according to an ancient proverb. People with autism, however, are often unable to judge when a face conveys emotions such as happiness or sadness, and many researchers take this as evidence that autism involves serious deficits in processing social information. Yet the voice, too, can provide emotional cues, and several recent studies indicate that when listening to voices, people with autism can actually recognize feelings and other traits of humanness as well as—or even better than—neurotypical people do. The studies were small and focused exclusively on high-functioning adults with autism, whose abilities are not necessarily representative of the broader autistic population, points out Andrew Whitehouse, head of autism research at Telethon Kids Institute in Australia. And success on a laboratory task does not necessarily translate into success in real-world social interactions, adds Helen Tager-Flusberg, a professor of psychological and brain sciences at Boston University. Nevertheless, the studies suggest that at least for some subgroups of autistic people in certain situations, deficits in identifying emotions could be confined primarily to vision. Children diagnosed with autism spectrum disorder before the age of 4 are more likely to get effective treatment than those who are determined to have the disorder after that threshold, researchers at Oregon Health and Science University found. Additionally, researchers found that longer delays between when parents first discuss concerns about their children with their health provider and when a diagnosis is reached were linked with a higher use of alternative and complementary medicine, which have not been shown to be as effective as behavioral therapy. In some children with autism, normal development stalls, often around age 2, and they start to lose many of the communication and social skills they had already mastered. The first large epidemiological study of this phenomenon, called regression, reveals that it occurs in at least 20 percent of children with autism1. The new work, published in the July/August issue of the Journal of Developmental and Behavioral Pediatrics, also shows that regression can appear long after the toddler years. A better understanding of regression could help researchers predict how children will fare over time and provide clues to autism’s biological basis. But despite decades of research, scientists continue to debate how prevalent regression is and even what it is. 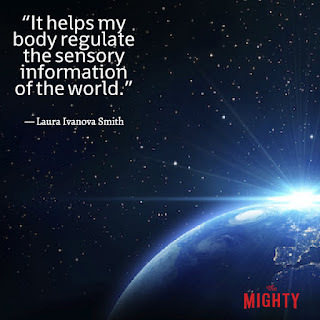 We’re having difficulties with a new stim [sensory stimulating behavior] that our seven-year-old has developed. He’s snorting. It’s deep and from the back of his throat. It started when he had some sinus drainage. That’s gone, but he still snorts constantly both at home and at school. I suspect he enjoys the vibration it makes. But it sounds terrible, and we’re getting complaints. We have no idea how to curtail or replace this behavior. The kind of snorting you describe is both common and particularly challenging to manage. So while I hope my tips are helpful, I want to make clear that they’re no substitute for a personalized therapy program with your son working one-on-one with an occupational, speech or behavioral therapist. 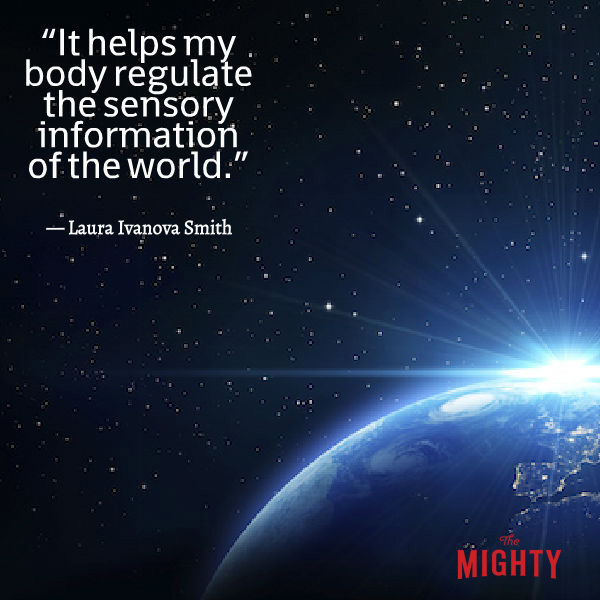 Also please keep in mind that sensory-stimulating behaviors serve an important purpose. From your question, I see you understand the need to find a replacement behavior to meet your son’s sensory needs. The International Center for Bathroom Etiquette - many things for both males and females. Learn more about Power Card Strategies here. You can view the above videos and more here. What is Behavior Mapping Maker? Behavior Mapping Maker is the only web-based tool for making Behavior Maps for children with Autism and other developmental disabilities including those with emotional disorders. As a teacher, consultant or parent you can make an unlimited number of personalized Behavior Maps for the children you work with who are experiencing problem behavior. Behavior Mapping Maker allows you to make individual maps with a great selection of pictures that include some of the most common behaviors we see in children as well as common reinforcers used to teach new behaviors. In addition, Behavior Mapping Maker allows you to upload photos in order to make a Behavior Map that is individualized for a child’s particular interests. This way, you can ensure the success of each of the children you work with. Behavior Mapping is the latest visual based strategy for children with autism to decrease challenging behaviors. Behavior Mapping complements other visual strategies that are available to support children with Autism Spectrum Disorder. Behavior Maps, also known as Consequence Maps, create a visual tool that list the reinforcement that will occur for a given behavior choice. For example, if the behavior you want to teach is to raise one’s hand to get the teacher’s attention in class rather than blurting out, the Behavior Map indicates the reinforcer for doing so, such as a sticker on the student’s sticker chart to time play with a Buzz Light Year figure. The Behavior Map also indicates what the consequence would be if the child “shouts out” and does NOT raise his hand; in the case, NO time with Buzz Light Year. As such, Behavior Maps visually show kids how they can earn the things they like by doing what teachers and parents want them to do. In this training from Ann Garfinkle, learners will focus on the multi-level comprehensive autism planning system or (CAPS) to program for students with High Functioning Autism and Aspergers. The topics will include sensory differences, cognitive differences, motor differences, and emotional vulnerability with reinforcement strategies for a comprehensive look at programming, service delivery, and progress monitoring. The attendees will leave with a new mind-set of how inclusive settings can be modified/adapted for a positive learning experience. All trainings will be from 9:00 a.m. to 4:00 p.m. Six OPI renewal units will be available for this training. This training is FREE from the OPI Montana Autism Education Project. You can register for the trainings here. The link to the presentation handout is here. You can find more information on the CAPS process here. You can buy the CAPS book here. Click here to download the Employment Tool Kit! Employment Models: What Option is Best For You? A link to a 2013 journal article describing the OPI Montana Autism Education Project. The OPI Montana Autism Education Project is delighted to bring Dr. Steve Olivas back to Montana. He has presented across Montana to rave reviews*. This workshop is not just for educators of students with autism spectrum disorder but is for anyone who works with children. Best lecturer in decades. Information and humor combined for lasting memory. This conference was my third one with Steve and I thoroughly enjoyed it! Every time, I gain new knowledge and applicable strategies that I can apply to students. He is hilarious and makes learning fun! This education was Excellent. Great, practical techniques to implement immediately. Great job with basic review. Steve is a fabulous speaker who keeps your attention. This is one of the better trainings I have been to in a long time. Overall my rating would be EXCELLENT. I absolutely LOVED him!! He was one of the best speakers I have ever seen, if not the best. The combination of excellent information and humor was perfect! I would come see him every time he came to town! Sorry to end every sentence with an exclamation point. He was very entertaining, I enjoyed his presentation-he had some good information and explained it in a light-hearted way. I would recommend his training to anyone. Dr. Lisa Ruble and Dr. Misty Parsley are presenting two days on the COMPASS model and collaborating as a team to serve your students with Autism. This includes writing FBA’s, identifying alternative skills to improve behavior, building a teaching plan with evidence based practices, transition to adulthood/post-secondary education and case studies that you bring. You can find information on the speakers here. Splashy corporate initiatives aim to hire people with autism, but finding and keeping work is still a struggle for those on the spectrum. Can virtual avatars and for-profit startups help? People on the autism spectrum, and their loved ones, unfortunately hear phrases like these every day. Why? Because they often experience sensory overload when too much sensory stimulus is occurring at once. It can be triggered by a crowded room, a TV turned up too loud, strong aromas, fluorescent lighting — or a hundred other things. It’s also associated with diagnoses like sensory processing disorder (SPD), chronic fatigue syndrome, fibromyalgia, post-traumatic stress disorder and more, although anyone can experience it. Often, a meltdown is the only way to relieve the building tension of sensory overload. The outsider may perceive this as throwing a tantrum. Let’s get a few things clear: a meltdown is not the same as a tantrum, and people who experience meltdowns do not choose to break down. Every person has different techniques for preventing or getting through meltdowns. Different coping mechanisms work for different people. What universally doesn’t work? Judgmental stares, points and especially comments. But we’re not trying to call you out if you’ve ever mistaken a meltdown for a tantrum — we’re just here to help you understand the difference. We asked autistic individuals in our community to describe what it feels like to have a meltdown. Hopefully their insight will help spread some understanding and empathy. A quite thorough guide can be found here. Introduce participants to the Employability Skills Framework and explains why it is important for students with disabilities. Dr. Tessie Rose Bailey, Senior Technical Assistance Consultant at the American Institutes for Research, will be the presenter. Review the state and federal requirements, including Indicator 13, related to writing transition plans for students with disabilities. Highlight transition assessment strategies that support the development of quality transition plans. Present strategies for increasing the efficiency and effectiveness of writing transition plans. Provide opportunities for evaluating and writing transition plans using learned strategies. This session is relevant for educators responsible for supporting the development and writing of transition plans. Participants are encouraged to bring samples of their own transition plans for activities. A major obstacle in autism research has been the lack of a valid means of measuring the effectiveness of various treatments. Over the years, researchers have published hundreds of studies attempting to evaluate different biomedical and psycho-educational interventions intended to benefit autistic children. Much of this research has produced inconclusive or, worse, misleading results, because there are no useful tests or scales designed to measure treatment effectiveness. Lacking such a scale, researchers have resorted to using scales such as the Childhood Autism Rating Scale (CARS), the Gilliam Autism Rating Scale (GARS), or the Autism Behavior Checklist (ABC), all of which were designed to diagnose autism- to tell whether or not a child is autistic--and not to measure treatment effectiveness. The ATEC is a one-page form designed to be completed by parents, teachers, or caretakers. It consists of 4 subtests: I. Speech/Language Communication (14 items); II. Sociability (20 items); III. Sensory/ Cognitive Awareness (18 items); and IV. Health/Physical/Behavior (25 items).